Kondaikadalai Kulambu is tangy and spicy Gravy. 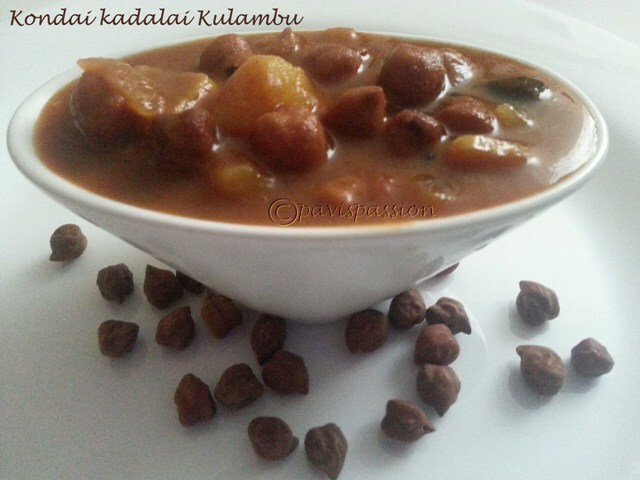 Here i used black kodaikadalai(chickpeas) because it is well matched with the tangy gravy. Black chick peas has high content of fibre than white chick peas, include the black variety more in your diet..
1. Soak Chick peas in water overnight (at least 8 to 10 hours soaked). 2. Cook the Chick peas with salt in a pressure cooker for 4 to 5 whistles until it cooked. Soak the tamarind in water and extract the juice. 3. Heat a pan add oil in it Temper Mustard and Fenugreek seeds until sputters. 4. Add curry leaves, chopped garlic and Chopped onion and saute until colour changes to slight brown. 5. Add chopped tomato to it and saute until mushy. 6.Add sambar powder, cooked chick peas to it and add the tamarind juice to it and boil for 2 min. 7. At last add boiled potato cubes(optional i didn't mentioned in ingredients) and salt and boil until oil floats on top. 8. 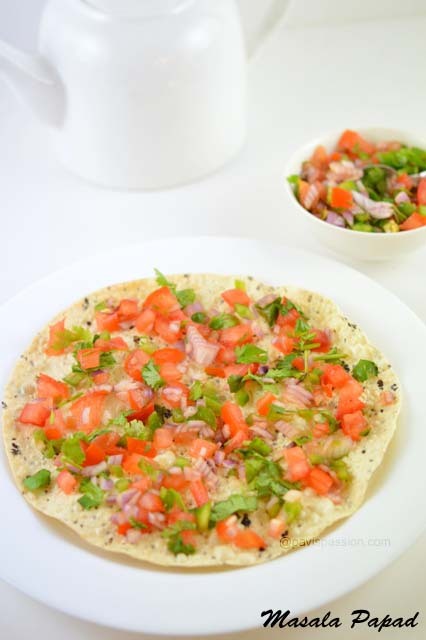 Serve hot with papads. 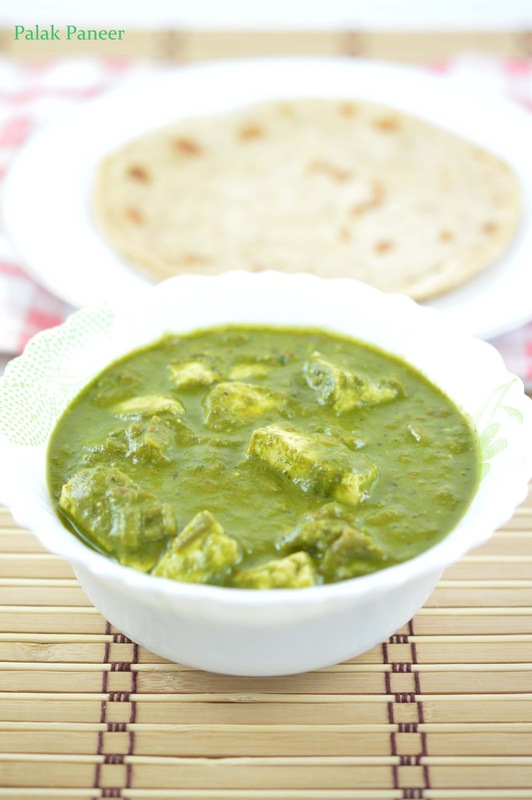 Note: You can use chili powder along with coriander powder instead of sambar powder. You can add 1/4 cup Coconut milk at last to enhance the taste of puli kuzhambu. Adding potatos is to enhance the taste .